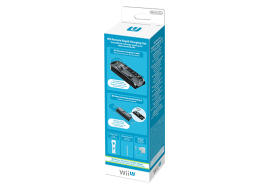 Enhance your Wii U experience with a wide range of accessories. 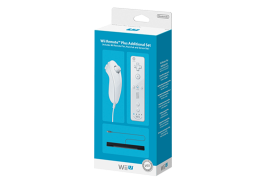 As well as brand new accessories, Wii U is also compatible with many peripherals designed for the Wii console. This extension controller may be used in some games. 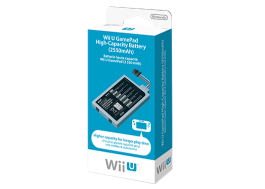 Includes a charging cradle for charging the Wii U GamePad which connects to the included AC adapter, and a stand for resting the GamePad on when playing. Please note: the Premium Pack includes one of each of these items. 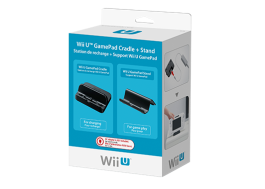 A stand to securely display your Wii U console in a vertical position. Please note: the Premium Pack includes this item. 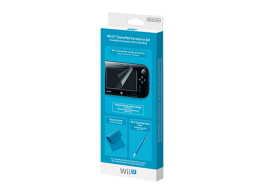 This set contains a Wii U GamePad stylus (large), Wii U GamePad screen protector and cleaning cloth. 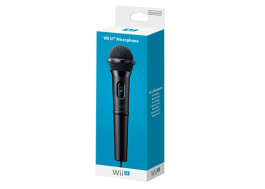 This USB microphone can be used with Wii Karaoke U. Includes a Wii Remote Plus controller, Nunchuk and Sensor Bar. If you're unable to connect to your TV using the included HDMI cable, please use the appropriate Wii cables. 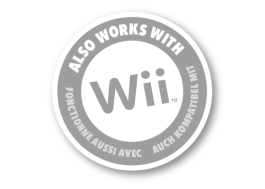 Visit our Wii accessories page for more information. 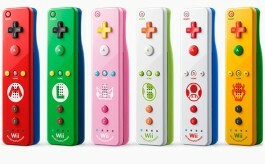 Wii Remote Plus controllers are available in a wide range of colours. This battery offers up to 8 hours of use* and can be easily installed using the included screwdriver and instructions. *Please note: The battery life is an approximation. 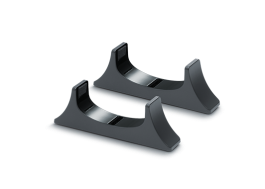 It can vary according to the use of the Wii U GamePad, usage of wireless communications, the temperature of the room and the brightness setting of the screen. This set contains five items: Wii Remote Rechargeable Battery, Wii Remote Charging Cradle, Wii Remote Jacket (made especially for Wii Remote Charger Set), Wii Remote Wrist Strap and Nintendo 3DS AC Adapter. Please note: only the Wii Remote Rechargeable Battery is compatible with the Wii Remote Charging Cradle, and vice versa. This pack contains three items: Wii Remote Rechargeable Battery, Wii Remote Jacket (made especially for Wii Remote Charger Set) and Wii Remote Wrist Strap. 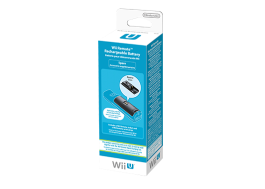 Please note: the Wii Remote Rechargeable Battery is only compatible with the Wii Remote Charging Cradle, available in the Wii Remote Rapid Charging Set. 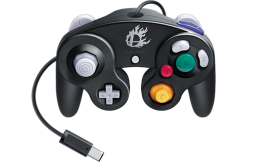 This is a peripheral which will allow you to use Nintendo GameCube controllers with Super Smash Bros. for Wii U. 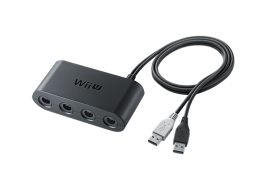 This adapter can be connected to the USB ports on either the front or rear of the console, and allows you to connect up to four Nintendo GameCube controllers or Nintendo GameCube WaveBird wireless controllers to the Wii U console. 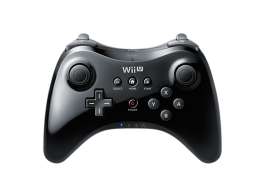 This controller can be used with Super Smash Bros. for Wii U.
Wii U is backwards compatible with almost all Wii games and accessories, so you'll be able to continue enjoying your favourite Wii experiences on Wii U.